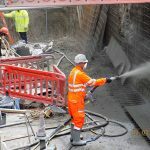 Built to a limited budget by Shotcrete Services, Stage-by-the-Sea comprises two striking concrete shells that have been optimised for acoustic and structural performance. Sprayed concrete has been used to form the delicate shapes, yet still provide robustness. The material is acoustically perfect for focusing the music of performers using this community facility. The project won the RIBA awards for South East Regional snd Best Small Project of the Year in 2015, in addition to the 2015 Concrete Society Highly Commended award. 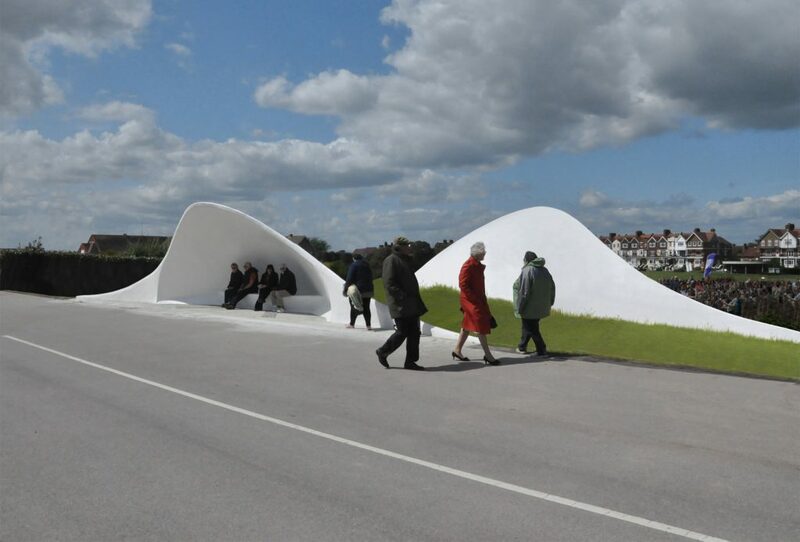 Outwardly, this is a simple construction of two shell-like structures, which blend into the surrounding seafront landscape. The main shell has been acoustically optimised to create an audible area of approximately 45m without amplification. The shape is therefore curved in three dimensions to project sound accordingly. The small shelter was also acoustically optimised but to collect the sound of the sea. To form such shapes the construction material must be flexible, but must also be dense to reflect/collect sound. It is difficult to imagine this structure in any material other than concrete given its shape and the way that the sound was to be transmitted. 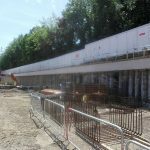 The use of sprayed concrete also permitted the structure to be very thin, and to have it all done within the budget of £100,000 is remarkable.